Formica Group will reveal its new premium matte kitchen range, Formica Infiniti® Worktops, at this year’s KBB (4-7 March 2018), stand L100, NEC Birmingham. 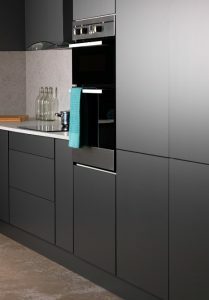 Traditionally, matte finishes in the kitchen have been avoided due to the ease at which they blemish. After all, who wants to see unsightly marks in an area where cleanliness is key? Formica Infiniti® Worktops’ absolute matte surface heralds a new generation of texture in the home. Its anti-fingerprint and anti-abrasion surfacing technology, developed by Formica Group, provides stronger resistance compared with standard laminate. In addition, anti-microbial protection prevents the harbouring and growth of bacteria, so the surface doesn’t just look clean, it is clean. The worktop’s micro-contours diffuse light to give the surface a depth of colour, providing its marble, wood and stone decors with a visual authenticity. The same contours that give the surface its water repellent qualities also channel moisture away from fingerprints so they don’t leave marks. With its moleskin-like texture, Formica Infiniti® Worktops add a sensorial dimension to the kitchen. Whether consciously or not, we all have a tendency to touch the surfaces around us – the introduction of an ultra-smooth surface to your kitchen means not only does your worktop look good, it feels good too. Visitors to KBB will be able to get up close and personal to the absolute matte surface and put its properties to the test. Twelve modern, on-trend décors are available in the Formica Infiniti® Worktops range. 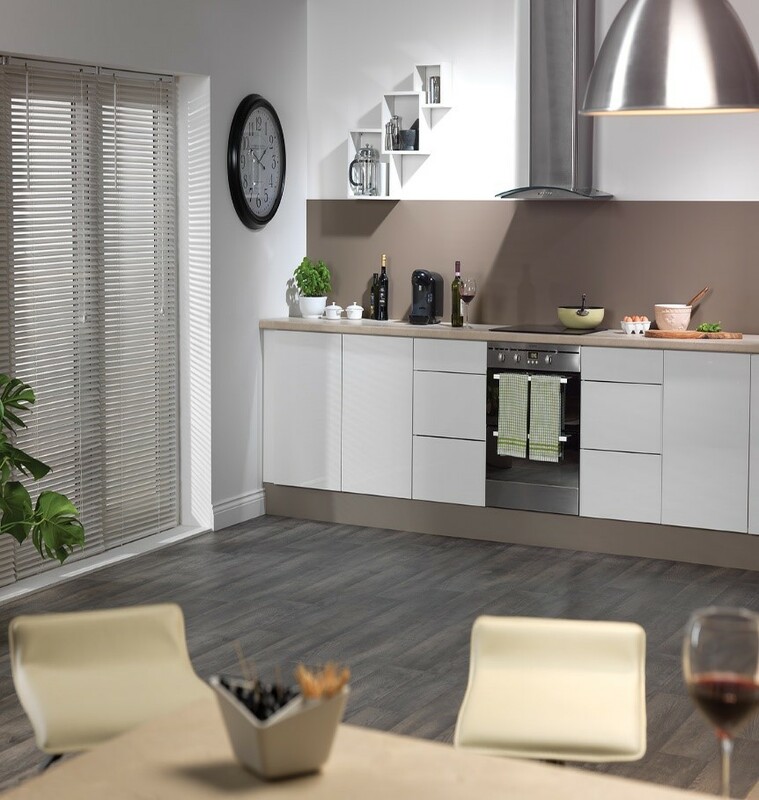 Four solid neutral colours form the core of the range offering a sleek fit for today’s kitchen. A unique woodgrain – Washed Knotty Ash – breaks away from the typical standard oak and walnut look with a distinctive limed grain that blends with the greys in the range. Stone effect finishes – Carrara Bianco and Nero Grafite – offer a classic, stylish finish, while Elemental Graphite and Elemental Concrete provide an urban-industrial look. Finally, three exclusive engineered stone patterns – Neo Cloud, Neo Tornado, Neo Cyclone – create a harmonious blend when both smooth or tactile finishes are used. Available in six product sizes, the full range offers worktops, breakfast bars, splashbacks and upstands, giving complete freedom for a uniform design throughout the whole kitchen or the option to mix and match for visual interest. A square edge option as well as a more conventional post-form edge gives scope for additional design possibilities for the heart of the home. Formica Infiniti® Worktops carry the Made in Britain marque and are manufactured by Formica Group at its UK manufacturing plant. The Made in Britain campaign is designed to promote and celebrate the manufacture of UK-made goods. Formica Group is the only High Pressure Laminate manufacturer to carry the Made in Britain marque.